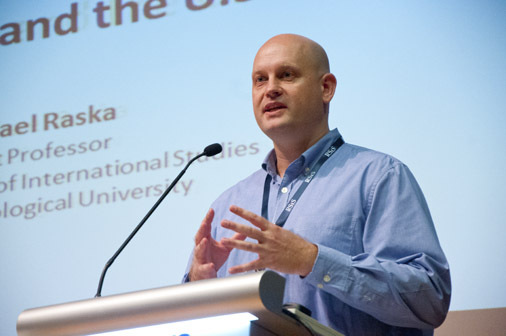 Dr Michael Raska is Assistant Professor in the Military Transformations Program at the S. Rajaratnam School of International Studies, Nanyang Technological University in Singapore. His research interests focus on East Asian security and defense issues, including theoretical and policy-oriented aspects of military innovation, force modernization trajectories, information conflicts and cyberwarfare. He is the author of Military Innovation and Small States: Creating Reverse Asymmetry (Routledge,2015) and co-editor of Security, Strategy, and Military Change in the 21st Century: Cross-regional Perspectives (Routledge, 2015). He has published in peer-reviewed professional and academic journals such as the Korea Journal of Defense Analysis, Pointer-Journal of Singapore Armed Forces, and Asian Journal of Public Affairs. 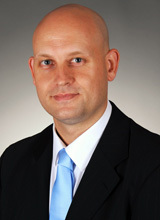 His academic contributions also include chapters in edited volumes in cooperation with the Norwegian Institute of Defense Studies; the Project on the Study of Innovation and Technology in China at the Institute on Global Conflict and Cooperation, UC San Diego, the Strategic Studies Institute, U.S. Army War College, and the S. Rajaratnam School of International Studies. His strategic assessments and articles have been published by the National Interest, Project Syndicate, Defense News, The Diplomat, East Asia Forum, RUSI Newsbrief, and many newspapers around the world. He is a frequent commentator on Asian security issues for the CNBC, BBC World News, Al-Jazeera News, Channel News Asia, and other networks. 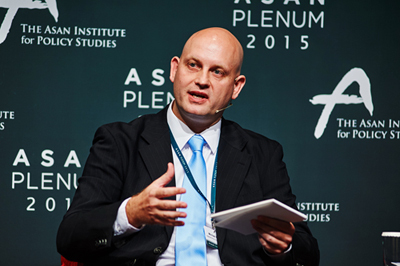 Dr Raska has previously taught at the Goh Keng Swee Command and Staff College (SAF Campaign and War Studies Course) and the Lee Kuan Yew School of Public Policy (International Security). 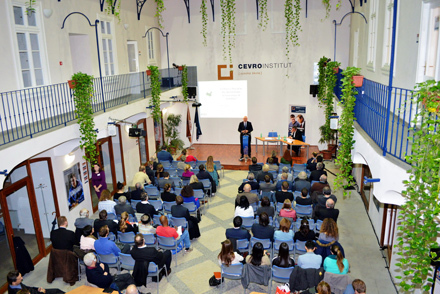 His research experiences include visiting fellowships at Yonsei University, Pacific Forum CSIS, and Hebrew University of Jerusalem (Rothberg International School). He is an alumnus of the Columbia / Cornell University Summer Workshop on Analysis of Military Operations and Strategy (SWAMOS 2012), the Philip Merrill Center for Strategic Studies Workshop at Basin Harbor (2013), the Hertog Summer Study Program (2014), Japan Ministry of Defense Opionion Leader Program (2016), and the Young Strategists Forum (2017). He holds a B.A. in international studies from Missouri Southern State University (2000), an M.A. in international relations from Yonsei University (2002), and a Ph.D. in public policy (2012) from the Lee Kuan Yew School of Public Policy, National University of Singapore, where he was a recipient of the NUS President’s Graduate Fellowship. I was born in Germany, grew-up in the Czech Republic and the United States. For my graduate studies, I have taken the Asian path: first to South Korea, and then to Singapore. My other life-changing experiences included my stays in Japan and Israel. 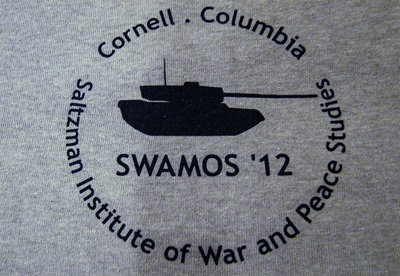 What sparked your interest in strategic studies & public policy? Why did you choose to pursue a PhD in Singapore? I believe that Singapore best connects the East and West. Want to share any highlights such as awards, special events, professional presentation of your work? The highlight of my PhD studies has been my field work conducted in both Israel and South Korea. For my dissertation, I have interviewed a number of senior Israeli and South Korean security experts, former and current military officers, academics, and journalists. As a DEFENSE analyst, I would like to focus on Asian security and defence issues – the varying array of traditional as well as unconventional security threats and challenges facing the Asia-Pacific region. In collaboration with the Strategic Studies Institute (SSI) of the U.S. Army War College and U.S. Pacific Command (PACOM), NBR convenes an invitation-only conference assembling the world’s leading specialists from academia, government, the military, and policy think tanks to examine critical trends in the study of China’s military. Held annually in Carlisle, Pennsylvania, the conference identifies a unique topic that changes every year through which to explore the key developments in PLA studies. The findings of each conference result in an edited volume published by SSI.